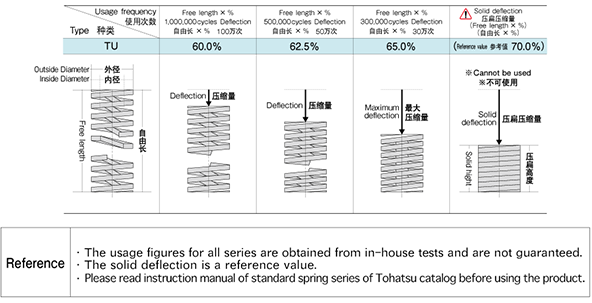 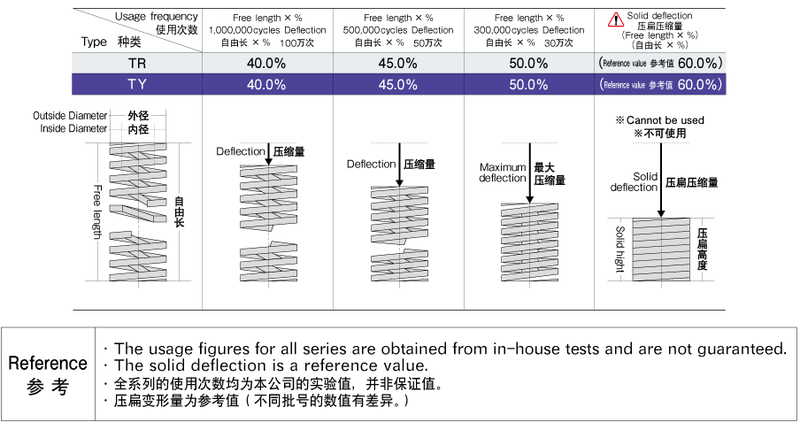 Tohatsu Springs used with high deflection | Products | Tokyo Hatsujyo Manufacturing Co.,Ltd. 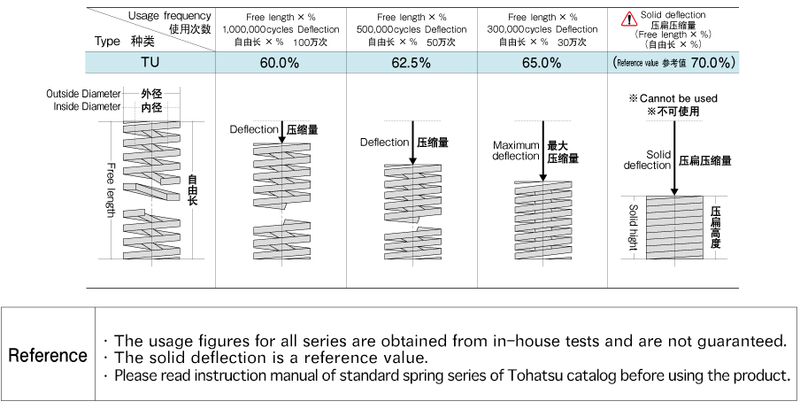 However the uses are incredibly varied, we've gained a high reputation in plastic mold coils. 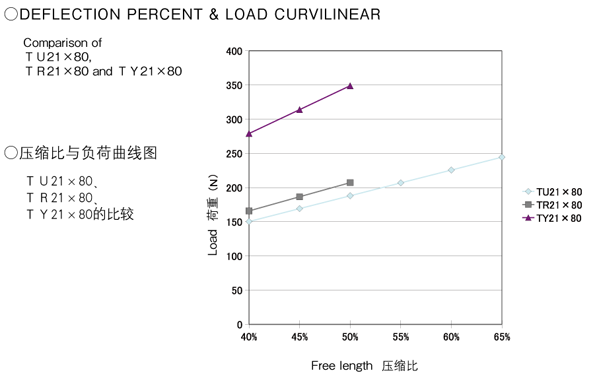 This TR/TY series are able to gain 50% in flexure at free length. TU series can also gain 65% flexure at free length.